Our range of products include closed die forging parts. We manufacture and supply best in class Closed Die Forging Parts. 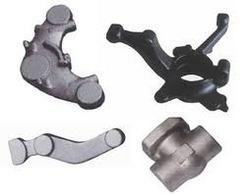 To manufacture these metal forgings in conformity with the international quality standards, the advance machinery and tools are used. Their sturdy construction, dimensional accuracy, high tensile strength, durability, seamless finish and compact design, make these forgings highly demanded. Looking for Closed Die Forging Parts ?